Place one garlic clove in each of 10 deep cuts in roast. Combine rosemary, thyme, garlic powder and 1 teaspoon onion powder and rub over roast. Put a half inch of water in a roasting pan, adding the roast, carrots and onions. Cover pan and bake at 325° F for 2-3 hours until roast is tender. 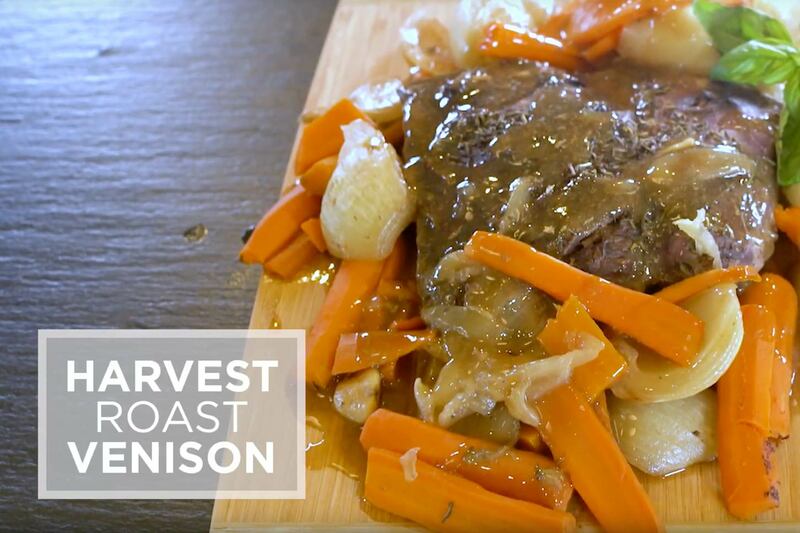 Put roast and vegetables on a serving dish and keep warm. Pour drippings out of roasting pan. Place 3 cups drippings into a saucepan. Add bouillon and remaining onion powder. Boil sauce, while stirring, until thickened, and serve with roast.